Chapter Nine The Screenplay Visualized. London. 1889. Interior Victorian bedroom. Heavy curtains are drawn letting in only a sliver of daylight. The room is typical of the upper class taste of the era although the dark wood and velvet green furniture has a distinctly worn and dusty look. A dimly lit oil lamp on the fireplace mantel illuminates a collection of old family photographs. The 200+ pound Madam Blavatsky, dressed in dark silks and brocades lumbers over to the bedside. She is carrying a huge hard-bound book under her arm, and her round head is covered by a thin black shawl. Her protruding eyes pierce me to the quick. She extends her hand and speaks in a low deep voice with Russian accent. “I’m sorry, Madam Blavatsky, but I don’t believe in spiritualism…or you.” My neck stiffened. “Oh I can seem to win, but inside…I feel as if I’ve failed.” I sat up. “You’re right.” I said. It was uncanny how she knew exactly what was bothering me—after the strike I had seen one of the match girls on the street hitting her child and yelling profanities. But that wasn’t the real issue; it was the trial. “They took my daughter away! They said I was an unfit mother.” And then there was Shaw, and I had stopped going to the Socialist meetings. I was truly alone. “You don’t know your worth.” Madame stood up and started moving about the room again. Spotting a photograph she picked it up; it was an old daguerreotype of me and my mother. Madame took it off the mantel and handed it to me. “No!—what right have you—this is my mother!” I took it out of her hands. As I wrote, the images of the match-girls strike began forming into a newsreel in my head. It was such rich material and I was telling it like a narrator in an old-fashioned book. This is a movie! Why am I telling the story this way? I sighed. Another big project but I could do it, if I wanted. Did I want to take on learning a new skill? Not really, but I could try. It still might sound like a book, like what I’d already written, but it could have the bones on a screenplay in it. I could start with her meeting Madame Blavatsky. If my psyche could grin, it did just that: I could see the scene—yes—I was going to try to write the rest of the story this way. “So, do you have any books on screenwriting?” I asked the guy at the bookstore on Ojai Avenue. What a salesman, I thought, as I handed him the money for the last 3 books on the shelf. Then I raced home to begin reading. I stared at him knowing he had said exactly what I needed to hear. “You are amazing, honey.” I kissed him; one long sweet and delicate kiss. “I am so blessed,” I told him, as I whipped myself around and took off for my writing room. “How are you Mom?” That’s always a bad way to start a conversation with someone who’s clinically depressed. “How could you leave me like this? Will I ever see you again?” she whined. I reminded her that she had come to visit a few months ago and had a wonderful time. Then I suggested she come out for Christmas even though the contest deadline was Jan 15th. Why did I say that? How could I do that? She unhappily agreed that she would probably need to come to visit me, as we weren’t all going to come see her. I agreed. I said that a little vacation would probably be good for her; she suggested that I should call her more often as she had no friends or relatives…I asked about the relatives that I knew she had and her few friendships, but she sighed, and said I didn’t understand. “Do what to you?” I asked. What a comfort it could have been to her to hear those words spoken then! But at the time, the only comfort she felt came from a sixteen page weekly newspaper called The National Reformer. The paper was the mouthpiece for a group called the National Secular Society, an organization devoted to the ideas of the new Freethought movement. Although it was anti-church and proclaimed atheism, it was actually much like a religion with its Sunday meetings, its lecture halls and sermons. There was even a Secular Hymn Book. Stimulated by what she’d heard about this group and its elevated idealism, Annie went to hear the head of the Society, Charles Bradlaugh, speak on a spring evening in the summer of 1874. She was moved by his words and his presence. She believed what he believed, and she felt an instant kinship. He must have felt the same, for straight away he offered her a job as a columnist and reviewer at his newspaper, The National Reformer. Annie’s heart must have gone out to him when she saw his living arrangements, and saw the extent he gave up all personal comforts for his duties to his family and his liberal cause. When his household had to be broken up to send his wife and children away, he sold everything to help support them, and took with him only a few things: his books, a tiny bed, a washstand, a chest of drawers, a table, a couple of chairs and one painting. He moved into two cramped rooms in which there was barely enough room for a man his large size to move in. His one attachment was to the painting, which he declared was “beyond all price.” It was a dark oil painting, depicting a tired hurdy-gurdy boy sleeping in a doorway, with a monkey watching over its little master. The painting hung over the head of his bed on the only wall space unoccupied by his books. That first winter before her lecture income was substantial, she travelled third class: in those times that meant sitting on hard wooden benches, chilled to the bone, with long waits for trains in the middle of the night. She slept in miner’s cottages and shared their food and conversations on politics, God, and money. She was now twenty-seven years old, very pretty and delicate, and made quite a curious impression wherever she went. She often dressed in dark silk dresses pulled in tightly at the waist, and cut down at the neck in a deep V, edged with white lace. Needless to say, the contrast between her looks, speech and her life of poverty drew attention. In 1877 Annie engaged in the first of her major battles, and although some people see the result of it as being the greatest achievement of her life, it also cost her the most. This new adventure was her first crusade dictated completely by her own free will. It was in defense of that pamphlet on birth control, and in the end, it cost her the custody of her daughter—an event she said, which almost killed her. The Knowlton pamphlet was over forty years old at the time Annie discovered it, and its style was as antiquated and obscure as its title. It didn’t take Annie long to convince Bradlaugh of the necessity for them to go into partnership as publishers of this book, even with the full knowledge that their arrest for publishing an ‘obscene pamphlet’ was immanent. And indeed, within twenty minutes of the arrival of the pamphlet they had sold over 500 copies, and were sitting behind bars. It was all good publicity and by the time they were released from their bitter sweet experience in jail, Annie had persuaded Bradlaugh that she would plead her own defense in the trial. And so she did…for two days Annie talked. Over 40,000 words were recorded as Annie went on about the appalling conditions of which she had seen so much: the mothers worn out by too frequent child bearing and the fathers despair because of their long working hours, lack of money and food. As she said: “I speak for the fathers who see their wage ever reducing and prices rising, for the mothers worn out with child-bearing, with two or three little ones around too young to guard themselves….Gentlemen, do you know the fate of so many of these children?—the little ones half-starved because there is food enough for two but not enough for twelve? Gentlemen, your happier circumstances have raised you above this suffering.” She knew when to pause. “Without the minimal comforts of life, one’s dignity becomes degraded.” The courtroom would often burst into applause as she spoke. The prosecutors’ case was strong and simple. Anything that would give sexual information that explicitly was regarded as an attempt to deprave public morals. The judge and jury declared the book obscene, but they also wanted to free Annie from any corrupt motives in publishing it. Obviously this lovely well-spoken lady had no lewd intentions. The twelve men on the jury were obviously in a state of emotional conflict; charmed and stirred to chivalrous yearnings by this oh-so-earnest young lady, and yet…that pamphlet was obviously obscene. The guilty verdict had to pass for the moment. But just as she was leaving the courtroom, the judge gave her another option: if she would agree to at least temporarily not sell the book she would not be sent to jail now—if she’d agree to pay a fine of 100 pounds. This she accepted. Annie had other plans. As soon as she recovered from the ordeal of the trial, Annie set out to write and publish her own book on birth control. One that was modern, accurate, and clear in its intentions. With her elevated style it could not be considered obscene though it got the message across. Within two years the little book sold over a hundred thousand copies and within the next fifteen years, 500,000 copies were sold. Annie received a deluge of letters from grateful women all over the world. Annie was the first woman in history to publicly endorse the use of contraceptives. In establishing the right to circulate birth control information, Annie had won her greatest battle in terms of relieving the agony and needless deaths and misery of young mothers. Everyone agreed that Annie had indeed won a heart-felt victory. That is, except for Frank Besant. Frank had been following the trial with great interest. It was revolting to him to have his name—her name—associated with atheism and the notorious Bradlaugh. But the controversy over an obscene sexual issue was even worse. He decided he was going to get Mabel back. If his wife had gone to jail that would have been easy, but such was not the case. He was going to have to fight for Mabel in court. It looked like he would have an easy time of it. Besant sued to deprive his wife of the custody of Mabel on the grounds of her Atheism and her association with Bradlaugh in publishing an indecent and obscene pamphlet. The click and clatter of tongues was loud and furious, and it seemed as if all of England was lining up to take sides. Newspaper scandals of those days were the prime topics of conversations, and even the aristocracy stooped to mudslinging. A conservative member of Parliament mocked Annie and Bradlaugh by saying that he assumed that the birth control books had been published as the fruit of Bradlaugh’s relationship with the godless Mrs. Besant. Everyone wanted to know the nature of their relationship. They were shadowed by detectives and journalists constantly, yet no impropriety could ever be found. Annie was called to trial, and the judge, Sir George Jessel, was disgusted from the start with the idea of a woman defending herself in a court of law without recourse of a proper (male) lawyer. He was not impartial; he let it be known that he disapproved of the fact that Annie had deprived Mabel of good Christian religious instruction. The irony of this did not escape the press, which flaunted the fact that a Jewish judge was prejudiced from the start because Annie did not believe in a Christian God. Frank raised money for his trial from his vicarage, and Annie raised money from the working classes who made up her audience in writing for the National Reformer. Annie’s arguments were not so eloquent in this trial; and now with her back to the wall she admitted that her husband had repeatedly struck and threatened her. She mentioned six occasions, and that he kept a loaded gun in his study and threatened to shoot her. Frank denied every one of the charges and said they were imaginary and “the violence…if any, was done in the heat of the moment.” Guns were allowed in homes, and domestic violence was as rampant as alcoholism then. These were not crimes. In all of Annie’s autobiography her only words of bitterness were against the judge who deprived her of her children. Yet she knew she had forced this situation against the warning of all her friends, and with the knowledge of the laws of 1879. Perhaps the success of the first trial gave her false courage. “She tried to follow Truth.” This was to be Annie’s epitaph. 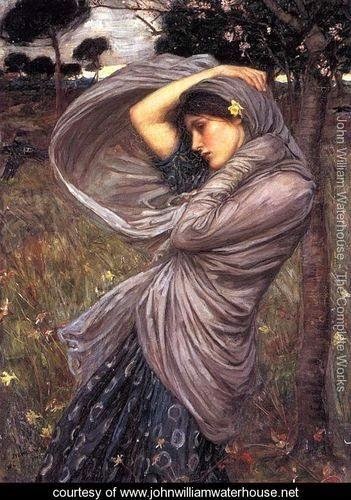 It had been her request from an early age, and an odd one, considering that she humbly added tried to follow Truth.” Could she have guessed that each chapter of her life would be a relentless pursuit of Truth, of self-reinvention, of swinging from martyrdom to leadership, from defeat to victory and then more..? Each one nobly trying to follow Truth…? “You have always been too religious,” Annie’s mother complained. Her mother must have winced, yet this is what she wrote in her autobiography. Annie was a passionate Christian as a young woman and was never non-religious, even when she became an avowed Atheist in her thirties. She once confessed to George Bernard Shaw, an intimate friend and comrade during their days as Fabian Socialists: “If religion be morality touched by emotion, then I was the most religious of Atheists.” Shaw never liked her earnestness, a trait he found most unappealing in any woman. But it was true, in Annie’s movement from one crusading ‘religion’ to another there was a consistency: all her faiths were linked by a personal crusade for social betterment and the deep desire to find meaning behind the suffering she saw around her. Annie Wood Besant had a difficult start in life. She was born in England in 1847, a female at a time and place which valued male children. Her father died when she was very young, leaving her mother to pour her time, energy and money into educating her son, as was done at the time. Annie competed for her mother’s attention and wanted to be educated to be as smart as her brother, so she read voraciously and beyond her years, intent on proving her worthiness. But Mrs. Wood had other ideas for her daughter, and at the age of eight Annie was sent away from home to be educated by an evangelical tutor, Miss Marryat, while her brother stayed at home with her beloved mother and went to Harrow, the nearby private school. Annie had an excellent education with Miss Marryat, yet being so devoted to her mother, she suffered from deep loneliness while away. Her unrequited love of her mother became as great as her desire for Christ, and both were to let her down at her times of greatest need. This was, perhaps, her first defeat. After a proper Victorian education, Annie was led into a hasty engagement at the age of 18 to an austere minister, the Reverend Frank Besant. He would be a poor substitute for Christ; a matter-of-fact man who enjoyed mathematics more than theology, a man could never live up to the yearnings of Annie’s heart. He was a serious, unambitious man with conventional expectations. Shortly after their engagement was announced, Annie recognized her mistake, and pleaded with her mother to end what would turn into a disastrous marriage. Her mother, having once announced the engagement, refused the embarrassment of repealing it. She would not allow it. Typical of many of the young women of her time, Annie had been taught nothing of sexuality or that she would lose what few legal rights she had by being married. Annie liked to write short stories as a young woman, and little did she know that every penny she earned by selling her stories would now belong to her husband, Frank. He also preferred that she not write under her own name. Despite all her instincts, and with the pressure of her mother, she convinced herself that being a minister’s wife would bring opportunities for heroic acts of self-sacrifice—she could tend to the sick, bring them food, and care for their souls. And so she married. Mabel’s life was saved, but this was the beginning of the end of Annie’s faith. If God was all good and all loving, how could he allow such suffering, such evil? It was just after this time that she resumed her studies of the Bible, determined still to be a good minister’s wife, but much to her dismay she discovered that the four synoptic gospels in the Bible didn’t align themselves as one story—she lined them up in columns and saw that their reports of Jesus’s life didn’t match. Talking with other ministers didn’t help; she was advised to pray more and read less. The marriage slid from bad to worse. Frank had recently become the pastor of a poor rural church in Sibsey, Lincolnshire, England, and was struggling to keep up appearances. His wife’s passionate concern over religious dogma was embarrassing and incomprehensible to him. It was her business to think of the comfort of the family, and leave the theology to him. Annie endured listening to Frank’s sermons on the glory of God’s grandeur and grace, while she threw herself into parish work. Maybe by helping the poverty-stricken families in their faming district she could find her sense of mission. What she found instead was great poverty aggravated by continuous child-bearing and alcoholism. In her Book, Autobiographical Sketches, Annie remembered one case where the husband was out of work and ‘had taken to drink.’ She found his wife in their one room cottage lying in bed, with a sick child on one side of her, and a dead baby on the other side. The smell inside the cottage was something that Annie never forgot; it pierced through any illusions she had struggled to maintain. The meaning of human suffering and the nature of a benevolent God could be debated, despaired over, or cosmically understood, but one thing would always be the first thrust of Annie’s pen: the absolute necessity of ameliorating intolerable social conditions and ignorance. It was at this time that Annie discovered a new idea for service—a way which would give people control over their lives and change the conditions of poverty. She came across an obscure old pamphlet on birth control, and realized what effect it would have if the women in the village knew about this. She pleaded with Frank to share it with the women in the village, but he came to an astounding conclusion—what Annie needed was to have another baby herself, not to be running all over the village spreading strange ideas. Discussion finished. Annie hid the little book and secretly vowed that someday she would do something with it. Instead she retaliated against Frank by refusing to receive Holy Communion in church on Sundays. Annie declared she would not live a lie and act on what she did not believe. Meanwhile her mother lay dying. It was a good excuse to get away from Frank for awhile and to live with her mother. But mother was heart-broken at Annie’s renunciation of Christianity. She had always declared that Annie’s greatest fault was that she was ‘too religious” but now this new stance was too much. Disregarding Annie’s attempts to explain her position, Mrs. Wood put Annie to the test. It became Mrs. Wood’s dying wish that Annie receive Communion with her, because she said, “I would rather die and be in hell with Annie than saved without her.” Surely Annie must love her mother enough to do this. The melodrama that ensued must have been high drama from the accounts of the tears and anguish recorded in Annie’s autobiography. Her desire to please and appease her mother, combined with her insistence to Frank that she could not live a lie, put her in quite a squeeze. So the deed was done, and Mrs. Wood died in peace, and Annie, not being a believer anymore, suffered no guilt. Annie had just pulled off the first of her attempts to reconcile the irreconcilable, but she had not yet come home to herself. In her Autobiographical Sketches, she noted that her voice was the first to come—that is, she found something uniquely her own in that voice that emerged quite unexpectedly. It happened one afternoon in early spring. She had been feeling restless and distraught, and so decided to lock herself in her husband’s old stone church and play the organ. Usually this helped, but today it wasn’t enough. Looking up at the pulpit she felt a twinge of regret—oh, if only she had been born a man with religious passion, what sermons she’d preach! Impulsively she sprang up the steps of the wooden pulpit and looked out the through the shaft of dusty sunlight that cut across the aisle and began to speak. Her rich voice swelled and echoed down the aisles and under the stone arches, filling her with awe. She barely recognized her own voice. All her pent up passion broke into balanced sentences—she spoke about the sources of inspiration; her voice resonating musically as she appealed to the hearts and souls of her imaginary listeners. At that moment she knew the gift of speech was hers. And that’s the way Annie was always to speak: with no notes, no gestures, no strutting on the stage. Her language sounds old-fashioned now, but she instinctively knew how to touch the heart and wrestle with the intellect. At barely five foot two inches tall and with no microphone, how did she project such courage and deep belief? And—how did I move the audience so much on that day when I won first prize on the college debating team? It’s true that I passionately cared for the suffering of the mentally ill—maybe that was it—because it was if I wasn’t there. Only the message, the plea, the cause was there, the reason to speak. It’s interesting to speculate on where this gift, this power might come from—could it be a hint of reincarnation? In her old age Annie was once to remark whimsically that she ought to have been a good orator because she had been practicing for innumerable lifetimes; particularly in an incarnation as the martyred monk, Bruno. It seems to be the same question as to ask where did Mozart get his genius at such an early age? This is another case in which the theory of past lives seems a plausible explanation. But now—spell-bound by the sense of her voice and half-dazed—Annie walked down the narrow steps, out of the church, and out of the life of Frank Besant forever. She had found her voice. It was 1873 and Annie was 26 years old. The first month in Ojai I spent most of my free time in the treehouse alone. I would read and meditate and stare out at the mountains and ask myself: What would Annie have me do? But honestly, it was clear what she wanted, I was simply not doing it. I was procrastinating and scared. I knew the Theosophical headquarters, Krotona, was less than a mile away—in fact, from the front yard I thought I could spot the faint image of orange tiled roofs over stately white stucco buildings. But instead of going there, I would retreat to the treehouse to read books on Annie instead. Annie and all the people in her life were characters in my head: my private dream. Perhaps I was a little unwilling to share it. What if I didn’t like the people at Krotona or what if they didn’t like me? I could be told I wasn’t a card holding Theosophist and had no right to be “prying.” Maybe they wouldn’t say it like that, but still…I could be disappointed by who I found there: cold indifferent people, or worse yet, occultists with penetrating eyes that would find me unworthy of their secrets. What were those secrets anyway? 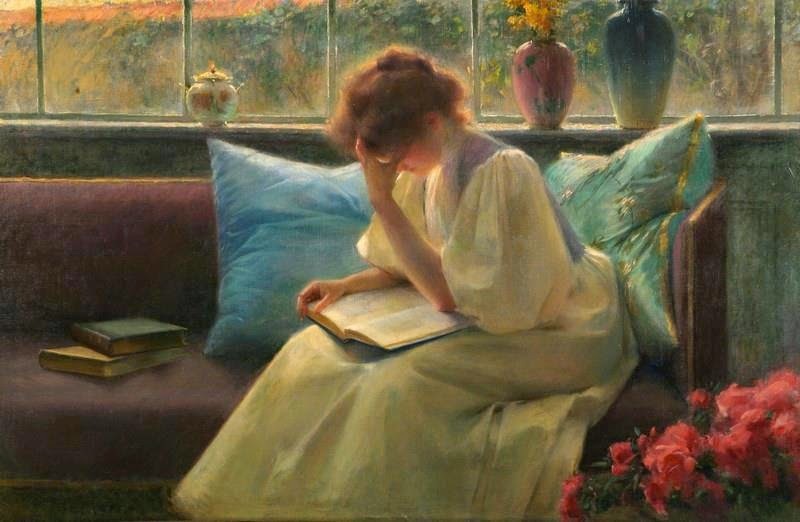 I read everything I could--but it was hard to understand why Theosophy and spiritualism were sweeping through England and America at the turn of the century with such power. Why would the upper class British—such perfectly rational people— be swayed into believing that “Masters” existed on other planes of existence and that they actually communicated through letters? It was easy to understand how the early Theosophists were like the old guard of the “New Age” with beliefs in reincarnation, karma and vegetarianism. I liked that they upheld a public face that looked more like open-minded Unitarianism. However it didn’t take much more reading to discover that there was an esoteric side to the group—a belief in spiritual Masters and invisible worlds—that wasn’t shared openly with the average person...and that was me. 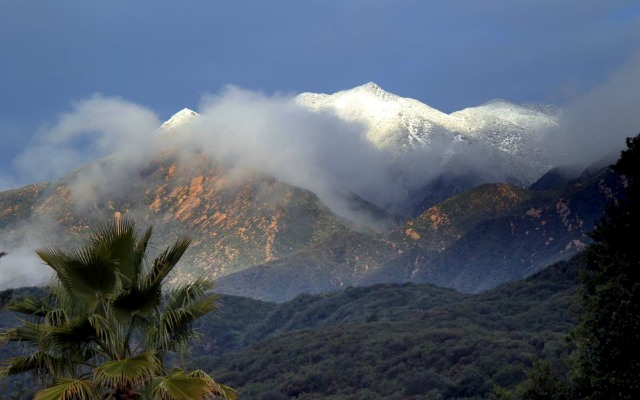 I knew that Krotona sat perched on 12 acres high on a hill, looking East over the Ojai Valley. Most people in Ojai had heard the names of Ojai’s “Patron Sages” Annie Besant and Krishnamurti. They knew of Besant Rd and many remembered the hundreds of people that used to arrive in town every spring to sit on their blankets on the lawns of the Oak Grove School to hear Annie’s adopted son, Krishnamurti, speak. But not many people realized that these gatherings weren’t just a phenomena of the 1960’s but had their origin back in 1922 when Krishnamurti first came to the valley. He’d come in hopes that the hot dry weather in the valley would cure his sick brother of tuberculosis. I was gathering facts. I found out that in the 1920’s Ojai was the ‘talk of the town’ in nearby Hollywood, and people such as John Barrymore, Greta Garbo, Aldous Huxley, and many others made their way to Ojai to befriend the young, and very handsome, Krishnamurti. 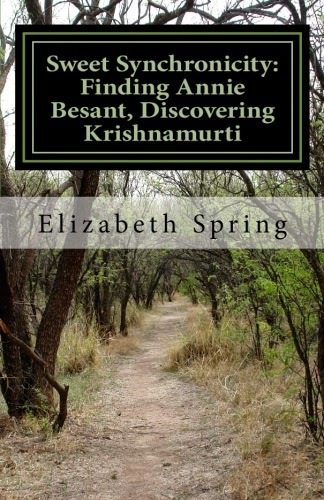 Some wanted him to be the leading star in a movie on the Buddha, but it was Annie who had a bigger dream for Krishnamurti and Ojai. 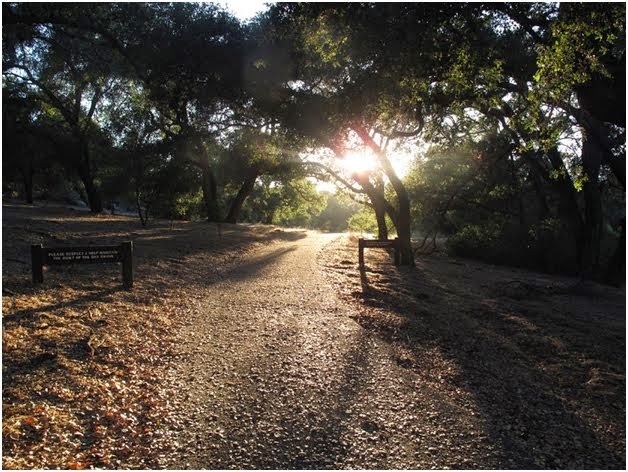 Annie remembered that Helena Blavatsky (or HPB as they liked to call her) had foreseen a new spiritual awakening happening in America, and Annie felt that it was in Ojai that this new spiritual center for the New Age would arise. (Her New Age was the astrological movement from the Piscean Age to the Aquarian Age.) With that idea in mind, Annie bought up hundreds of acres of land for a center—money she had made in her speaking tours across America—and put it into establishing a high school in the upper Ojai, and even bought the town newspaper. I began to know these things because we met our neighbor with the wandering horse (and the one who released the chickens out of the bathroom when our house was a commune.) It turns out that he was a wellspring of information about the valley. He had been Krishnamurti’s gardener in his later years, and sadly I discovered that “K” as he was known, had died just the year before. Our neighbor, Alisdair, was the gardener who worked on Annie’s land in the Upper Ojai, and who now worked for the famous potter Beatrice Wood. Beatrice was in her nineties now and she told him stories of how Annie, who was only 5 foot 2 inches tall, had such a profound impact on her. She was surprised at how warm Annie was to her~~and she felt that Annie had an integrity to her which was not totally naïve. The day I made the decision to go up to Krotona, I was the one who felt naïve and vulnerable. I wore my favorite dress with the tapestry fabric across the top and took a little more time with my make-up than usual, as I wanted to look older, wiser, something more than what I was. The first things that caught my eyes as I drove up the hill were the tall window arches that looked over the rose gardens. I parked my car and took the path that led by the water fountain and around the imposing building to the oversized front door. Opening the wooden door the air felt cool as my eyes adjusted to the darkness. A couple of antique chandeliers lit up the room and a white haired woman sat at a desk at the rear. There appeared to be a library on my right and another room on my left. And then—there she was! On the center wall of the main room was a huge portrait of Annie. It was as if I’d entered into my private dream—she looked down at me as if she’d almost been expecting me. I knew her well; my spiritual mother. I allowed the moment of meeting to nestle into me. The painting must have been done when she was about seventy years old, and the graceful lines of her long robes reflected her quiet dignity. But her face revealed much more. The corners of her mouth drooped slightly, perhaps revealing a sadness? But the eyes were clear, kind and steady, although the skin around her cheeks fell in weary folds. She sat proudly, her hand prominently placed on her knee—perhaps she wanted us to notice this unusual ring bequeathed to her by Madame Blavatsky. And I knew that beneath that hand was her wounded knee—a tell-tale mark left from her days with the 'Match Girls' in London. It felt like a daydream. Until now Annie was like a figment of my imagination and there she was up on their wall! Here she was real--I felt a rush of excited energy come over me. 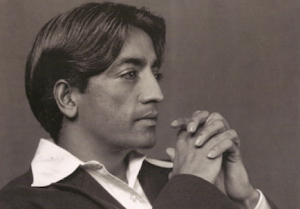 And there, on another wall, was a smaller portrait of Krishnamurti. I peered into the curved door leading to a library. No one was in that dark wood paneled library, a room that looked more like a backdrop for a scene in “My Fair Lady” than for a library in sunny California. “Janet. 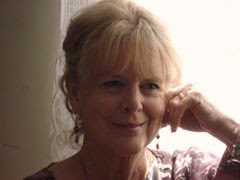 Janet Spring.” Sylvia’s hands encircled mine as if we were old friends meeting again. “Ahh….this is a bit of a shock for me to be here.” I looked up to the painting of Annie. “I’ve been writing about her—oh, not a lot or anything much, really, but she found me and…well…I’m here now, not in Rhode Island anymore. Hah! It’s like in the Wizard of Oz, I’m not in Kansas anymore.” A shiver ran through me. “It’s like Annie was just a character in my head, and now she’s here! Sylvia seemed to take on the look of the good Queen of the East. Or was it Glinda? She put her hand on my shoulder and led me to a large high ceiling room with a stage at one end. Could there be concealed paintings or statues behind those golden curtains? The room smelled of something—the place reeked of secrets. I nodded. She touched my hand. “I know this is sudden, but on Tuesday I was going to read this part of a speech Annie had once given….would you like to read it?” She took a piece of paper out of her pocket and held it out to me. “These are Annie’s words?” I said, taking the paper in my hands. I skimmed it, recognizing the words. It was part of a larger speech about life after death—a speech that could stop religious wars if only people would believe it. “I’d love to read this.” And that was true. On Tuesday Sylvia introduced me at the meeting after the preliminary meditation, piano music and the reading of notes about last Tuesday’s gathering. There must have been about seventy-five people there; and I’d dare say no one was younger than me. Harry had accompanied me and sat smiling from the second row as I was called to the podium. I rose to the stage feeling like an imposter and wondering why had Sylvia given this to me so quickly? But then I had another impulse—to throw up. I remember that Annie once said that she often had the same impulse before a speech, and sometimes the more nervous she was, the better the talk. I dared to hope. I took out the paper, fingers squeezing the sides of the podium. I looked out over the room of expectant faces and taking a large breath I began speaking the words Annie had written so many years ago in her autobiography. I paused and looked up. Their eager eyes were on me, all except one. The room was absolutely silent; I felt upheld by their listening…except for one man. Someone had made room for a very old man to sit down next to Harry, and his head was drifting downward onto Harry’s shoulder. Oh dear…! I could see the head finally fell onto his shoulder but Harry’s eyes remained fixed on me. When I stopped they stood up and applauded! I was in shock. As I descended to my seat I caught Sylvia’s beloved smile. I stayed in a state of shock till the meeting was over and a woman named Joy came over exclaiming: “Why it’s almost as if Annie herself was delivering that speech!” I grinned. A small group of people stood around us as I introduced myself to each. It all felt so good and right. The feeling of being an imposter had gone. Only one thing didn’t feel right; it was my name. I didn’t feel like Janet anymore, but I wasn’t Annie either. Harry led me home congratulating me on my new speaking “voice.” I could tell he was as surprised as I was. By morning I had found my new name. It had been coming for a long time as I’d never felt like a Janet and I had always felt very close to my mother’s mother: Elizabeth. I would now be Elizabeth, and it even pleased Harry and Sarah. Reinvention was not Annie Besant’s territory alone; it had now become mine as well. Two days later a reporter from the Ojai newspaper called. They had heard that I was writing on the life of Annie Besant and Krishnamurti. Could they do an interview with me? I was more than surprised and more than willing. By the next week there was a photo of me in the local paper and an article in which I relayed the major events in Annie’s life. As I held the newspaper I stared at the photograph. This woman looks like a serious writer, I thought. And her name was Elizabeth Spring. I was in a stage of euphoria for that first day. But by the next day I noticed that it took longer for me to get to my desk—didn’t I need new curtains in that room? By the third day I was complaining to Harry how hard it was to do this writing and didn’t I need to upgrade that old typewriter to a word processor? The next day it was simply too beautiful a day to write inside…had I’d forgotten that almost every day in Ojai was sunny and warm? Each morning there was a mountain of resistance that had to be shoveled aside before I sat down to write. Sometimes I thought how stupid I had been. Why didn’t I just do this quietly and talk about it when it was done? Instead I had publicly committed to telling the story of Annie’s life, and now all I could see were the hours in the day melding into one long and back-aching, eye-straining experience. And it was going to go on and on—my God, it could take a year…or more. “What do you mean it doesn’t quite work? It doesn’t flow? You don’t feel it! What’s that supposed to mean?” I screamed at Harry as if he were an idiot. I had finally written the first five pages. I waved my papers around. I cornered him as he tried to make an exit. “Don’t just stand there and tell me it’s not good—it has to be good!” I didn’t open the door to my writing room for a week: I read, questioned, and despaired. And then I went back. One day while I was trying to read Madame Blavatsky’s great book: The Secret Doctrine, I saw Harry coming into the room. I slid the book to the side, trying to stuff it under a pile of papers as if it were pornographic. The book was too large; its frayed red and gold binding stuck out like loose hair. “Hey, what’s happening? Your eyes are at half-mast. You don’t look happy, my dear, what’s wrong?” He sat down beside me. I am! I’m trying to understand. You know what I think?” My finger started wagging. “Her mother let her down, God let her down, and so did her husband, and Shaw---I think she turned to HPB as to a mother; a kind of melancholy mother that she could help. From everything I read, Annie comes across as a deeply loyal person, but this would mean that she’d turn a blind eye to faults once her loyalty was given.” I stopped, sat down, and started jabbing my finger into the book. “But--I like that Annie fought for the under-dog, I like that she was anti-racist, that she was a feminist—but this occultism—it’s just too much. Too wordy; pedantic.” My finger did a final jab. We were silent in the car on the way to the therapist’s office. My face was still red from crying from the daily morning’s phone conversation with mother—she wanted to come stay with us for the summer, which was fine, but she refused to accept that I needed “writing time” from eight to eleven every morning. Her unwillingness to accept any conditions around her visit made it into an either or situation—she would come, with no restrictions, or she wouldn’t come. I had to say no. Tears and pleading words ended every conversation with her every day. What was even worse was the hollow feeling inside me when I looked over at Harry. He didn’t deserve this; well, neither did I. There was nothing truly wrong with us, except he was overstressed with working at the pottery shop and I was overstressed trying to write a book. Mothering our daughter Sarah was good with its sweet highs and tender lows, but mothering my mother, wore me down. Harry’s face was looking thinner and I hadn’t seen the sparkle in his eyes in months. I suspected I looked worse. The writing was going so slow and I didn’t feel that deep connection to Annie that I had hoped for—I didn’t know all those little things writers need to know about their subject. How was I to find out? There was no Theosophical Society nearby—I was working alone in my room with a few books, my electric typewriter, and a shortage of new inspiration. I needed to be in California at the place where Annie had spent so much time, or in England where she was born. I had yet to feel her “collaboration” with me on this project. And that’s how we came to live in Ojai, California. We dropped everything and left—it took 6 months and 3000 miles to get to our new dream. Luke, the realtor, was reluctant to show us the last house he had listed. This was the last day we had left to find a house before flying back to Rhode Island. Luke had showed us over-priced houses hanging precariously off cliffs in the high mountains of Santa Barbara and had shown us dark moldy homes under the oaks in Ojai. We were willing to take almost anything that didn’t smell and look like the owner had just died or looked like it was the next statistic in an earthquake report. It shouldn’t have been so hard. “This one is a bit of an embarrassment really, but I’ll show you if you want…” I couldn’t imagine any worse. It was the end of three long days of looking at houses that were all wrong. “Yeah, and there’s probably a few people still living here. The house comes with…well let’s see…. two trailers, a teepee, the boat you just saw, and a treehouse. Oh yeah…and more.” There was stuff everywhere. But that’s not what I saw. The realtor curved the car around past the front of the long house and stopped at the edge of an orange grove that seemed to fall away for miles. We stepped out of the car and looked around….and around and around. There was an almost 360 degree view of mountains, sky, orange groves…and a gentle breeze. Wind chimes. The sound of a horse’s whine. There in the distance I could see layers upon layers of thin clouds like a Japanese painting. “It doesn’t matter. Look at this!” I extended my arms like Eve showing Adam paradise. “But look at this--” he said, his arms pointing to overhead electric lines crisscrossing the land like a spider’s web. “I want to be here; Harry, what do you say?” We hadn’t even looked inside the main house. And that’s how we got to live in the long narrow house with a treehouse, a barn for the pottery, an occasional horse that wandered through the backyard, and a nest of baby rattlesnakes in the front lawn. I planted jasmine and arranged to get our furniture moved, while Harry got the guys to bury the electric and hire 4 dumpsters to take all the “extras” away. We certainly didn’t need all that chicken wire and sheet metal and not even the cannabis growing in the backyard. Instead we had a hot tub installed, so at dusk we could stare at what the locals called the “pink moment” when the mountains would light up with a luminous shade of rose. And at night we’d look up to the sky to see more stars than we’d ever seen in our lives. At long last Sarah would have a warm pool and happy parents.